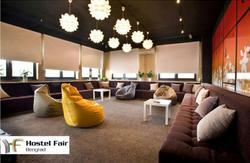 The Green Studio Hostel - The original and our main location. This is our airy spacious two floor rooftop hostel with dorms and private rooms for all sizes that rises high over Belgrade where worries drift away with the balcony's afternoon breeze and where experiences are made for a lifetime. The alternative homely, relaxed and modern vibe of the hostel mixed with the buildings antique character, spacious open common areas all looking over Belgrade makes it a perfect place to unwind, relax and feel at home while still being just steps away from the party lounge, city center, train and bus stations and a part of Belgrade's alternative urban design district. Work on our hostels started back at a time Belgrade had only one hostel in the whole city by a lost backpacker and local hostel worker at the center's abandoned train and bus station district. 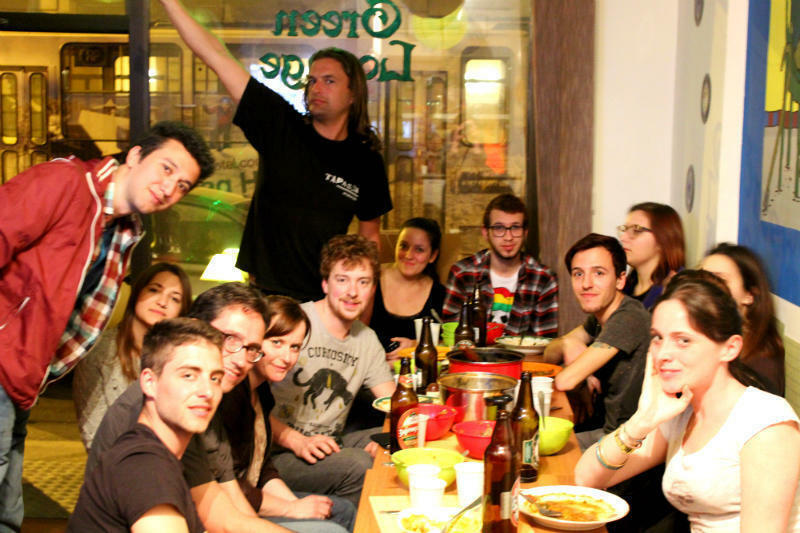 Our hope was to create a relaxed, open-minded, homely, fun and party like hostel to bring together people from all over the world to Belgrade and improve our neighborhood. Since then things have changed so rapidly and the hostels are now a part of Belgrade's must-see alternative design district alive with culture, nightlife, events all year and we're still right here helping all with open arms to experience the wonder that is Belgrade! Lonely Planetâ€™s, Urban Guideâ€™s, Rough Guideâ€™s, and too many more to listâ€™s top choice for all accommodation types in Belgrade. 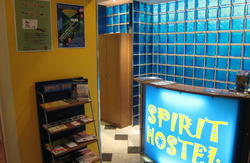 1000's of satisfied guests on Hostelworld and Hostelbookers. 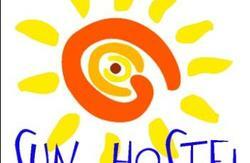 The Balkanâ€™s most popular hostel with over 30,000 satisfied fans on facebook! ALL FREE: Laundry, Internet (+WIFI) Welcome Shot, Day Walk, Happy Hour, Nightly Programs, Coffee, Tea, Towels, Linen, Lockers, Luggage Storage and so much more! 24 hour check in & access. No Lockout, No Checkout time â€“ Sleep Late! More then just a hostel - join us every day and night at our Green Lounge located in the center of Belgrade's new alternative urban design and nightlife district for nightly music programs and fun with locals and fellow travelers! 12h: Free day walk through Belgrade with our lovely staff to alternative sides of Belgrade! 20h - 21h: Happy Hours! Join us in our lounge for happy hours with buy 1 get 1 free on everything, music, games including beer pong, and a good time! 20h - ? : Nightly Programs: Meet other travelers, locals ready to experience Belgrade's nightlife over our nightly music programs! Fri & Sat - Be The DJ! * YOU! In the center by the river in Belgradeâ€™s alternative design district. 1 minute from both the train and bus stations. 5 minute walk to the pedestrian street!